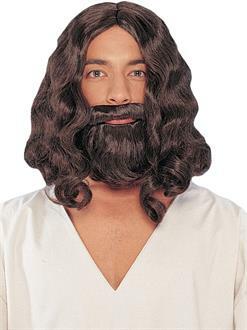 Includes a brown wig and seperate beard with attached moustache. Elastic straps that go around the ear secures a comfortable fiting beard and moustache. One size fits most.